New build townhome. 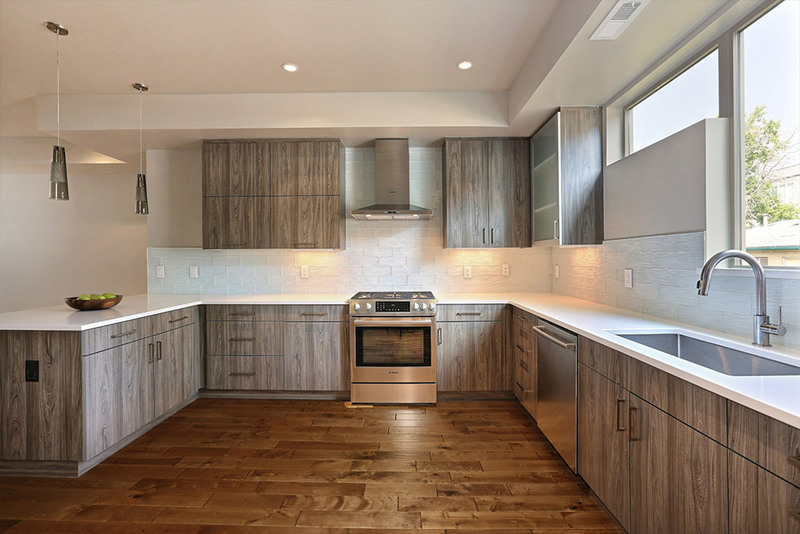 Warm wood look laminate cabinets with frosted glass upper cabinets. 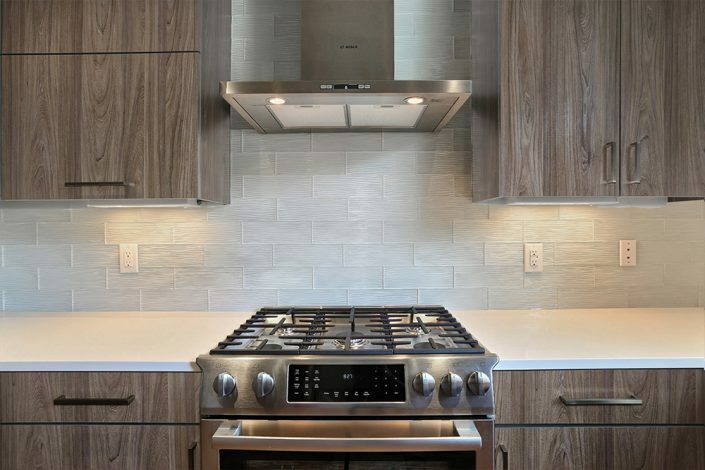 Wave textured backsplash in white. 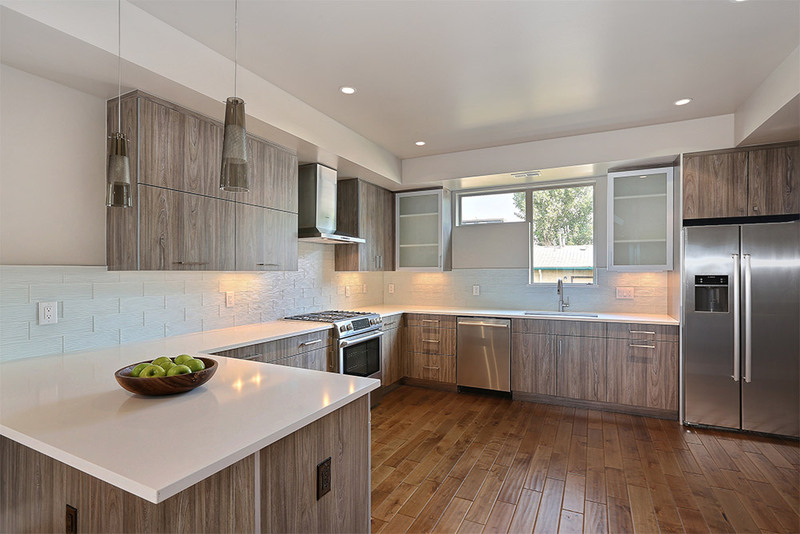 Smoke glass LBL pendants and quartz countertops. 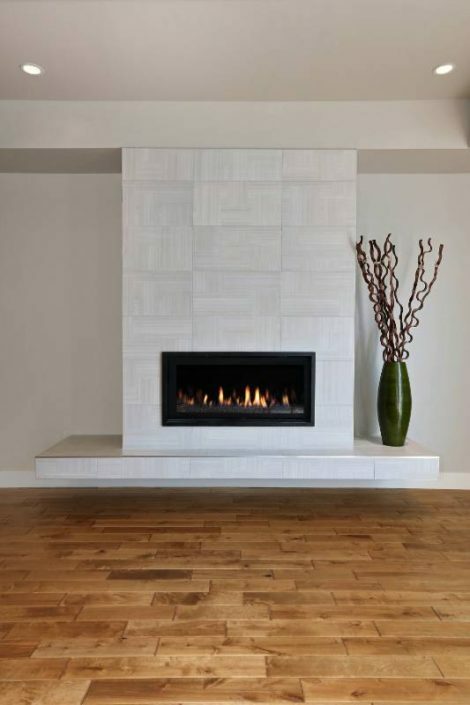 Fireplace is a great retro looking textured tile with a pattern within the pattern. Floating hearth is a cool feature.